Filing for bankruptcy can protect you from creditor actions, such as wage garnishment -- and may free you from some debts. You can file for Chapter 7 bankruptcy, which eliminates certain debts, or for Chapter 13, debt repayment, if you already have judgments against you. Whether you can get rid of a judgment in bankruptcy depends on the debt type. Federal law doesn't allow the discharge of certain debts in bankruptcy. You can't remove judgments involving fraud, theft, or embezzlement on your part. For example, if you stole from an employer and later got a judgment against you for the amount you took, you can't remove it in bankruptcy. Judgments from other debts you can't eliminate include spousal and child support awards, income tax debts, criminal fines and penalties or fees you owe to a government entity, and student loan debt. 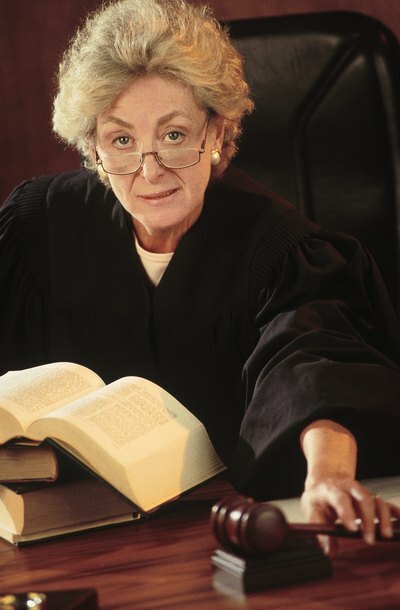 You can't get rid of court judgments against you for harm you deliberately caused to someone else or injury and death related to your drunk driving in bankruptcy either. Can I Become Bankrupt Through a Civil Lawsuit? Civil litigation can force you into bankruptcy, but planning ahead with appropriate business structures can blunt the negative impact of litigation by limiting liability. Civil lawsuits may result in a judgment and award of attorney's fees and costs against you, but even the costs of successfully defending a suit may propel you toward bankruptcy. While bankruptcy is usually a choice made by the debtor, there are ways for judgment creditors to force you into bankruptcy. Chapter 13 bankruptcy can give you a financial clean slate by erasing certain debts and giving you a chance to catch up on your payments. However, your mortgage is generally not one of the debts erased by bankruptcy. If you cannot stay current with all your house payments during your Chapter 13 bankruptcy, your lender can foreclose on your home.